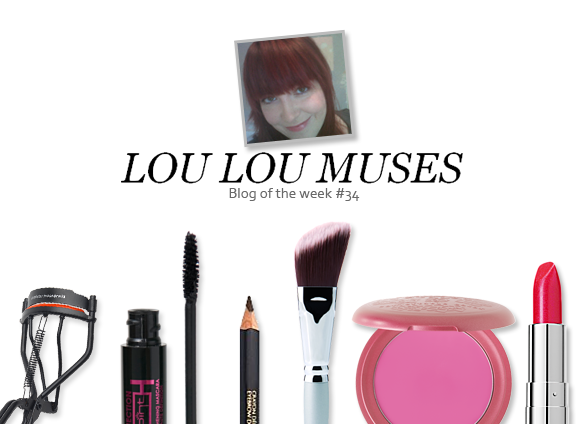 This week’s blog of the week goes out one of our favourite people: Louise of Lou Lou Muses, a fellow Cardiffian with an impeccable sense of style (and a penchant for gorgeously bright nail varnish!). Despite being an established member of the beauty blogging community via Twitter, Louise has actually only recently set up her very own blog. The result is a space that is packed full of knowledgeable information not only about beauty, but about the beauty blogging culture at large. One of the best things about Louise’s blog is that you can be sure that whatever is being reviewed is going to be lovely and shiny– she has a magpie like eye for bright and gorgeous clothes and jewellery, as well as some seriously luxe makeup. Each post is made all better by Louise’s sheer enthusiasm for her passion. She’s a one-of-a-kind blogger! Take a look at Lou Lou Muses right here, and follow her on Twitter here. This entry was posted on Friday, August 26th, 2011 at 8:00 am and is filed under Blog of the Week. You can follow any responses to this entry through the RSS 2.0 feed. You can skip to the end and leave a response. Pinging is currently not allowed.